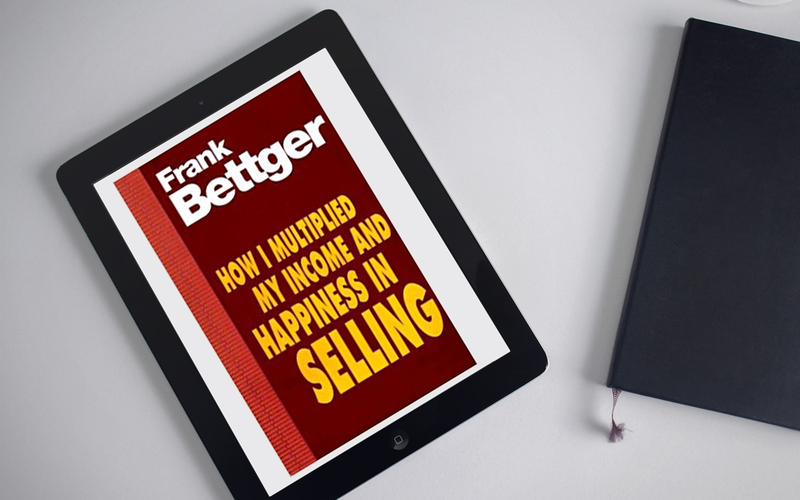 How I Multiplied my Income and Happiness in Selling by Frank Bettger. While this book was written in 1954, its wisdom is still very relevant 63-years later. I read a lot. I not only enjoy it, but it’s also part of what is required in my field. Many clients count on me to stay abreast of trends and topics in the business space. Every now and then I come across what I call a ‘lost classic’ and this book fits the bill. Bettger is best known for his bestselling book, How I Raised Myself from Failure to Success in Selling and honestly, I had no clue he wrote a follow up book many years after its release. This book is pure gold and jam-packed with wisdom from his illustrious career. It looks at a wide range of areas to help the reader not only sell more, but also shares up close and personal the mindset and habits of one of the more successful sales pros during that time frame in history. In my opinion, that alone makes the book valuable and worth spending the time to read. I highly recommend this book and encourage you to pick up it up and soak in its wisdom. I’ve read a lot of sales books and this one easily ranks up near the top. Don’t let the date it was written fool you as it’s a gem of wisdom that is both valuable and timeless!